Spacious Bachelor Located In Trendy King St. W. Close To Top Restaurants, Shops, Ttc, Lablaws City Market, Starbucks And Everything King St Has To Offer. Gleaming Engineered Hardwood Flooring, Modern Kitchen And Very Spacious Bathroom.Residents Have Access To Over 6000 Square Feet Of Amenity Space Including A Fully-Equipped Training Gym Complete With Exercise Studio, Yoga Room, His And Hers Change Room And Toronto's First "Rain Room". All Appliances And Electrical Light Fixtures. 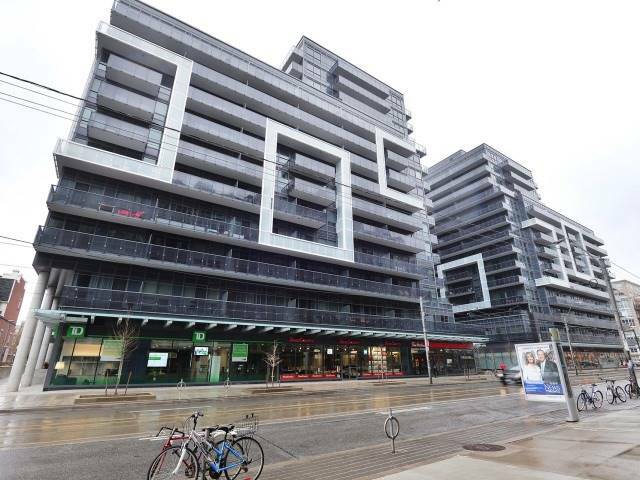 Want to learn more about 302-1030 King St W (King St / Shaw)? I would like to learn more about 302-1030 King St W (King St / Shaw).